Just a day of “flood horror” in central part of Bosnia and Herzegovina (BiH) was enough to remind citizens of the catastrophic events almost five years ago, when the country made first news worldwide. The end of January 2019 brought snow in BiH and most of the mountains were a heaven for skiers. The winter resorts managers were happy to see full hotels and ski tracks, but then the weather changed. Temperatures in the beginning of February were higher than average and snow started to melt, adding to the momentum of rivers and creeks. In just a few hours, the public in BiH experienced a “flash back” to May 2014. 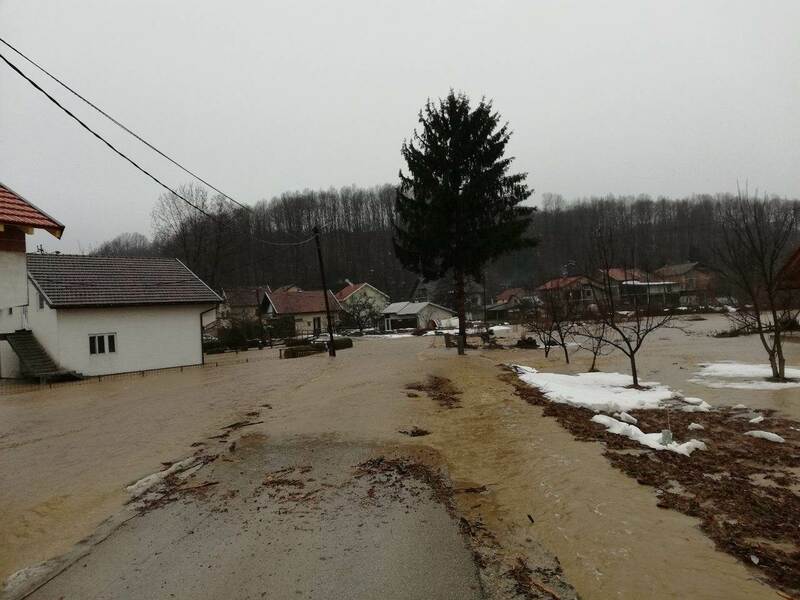 On Saturday and Sunday, a number of households in central Bosnia came under water and authorities in Zenica and Busovača declared a state of natural disaster. In several other places, the situation was critical and several roads were closed because of the high level of the water. During weekend, every few hours, media reported about new floods and the first landslides. One of them, in the municipality of Gornji Vakuf – Uskoplje demolished a house and threatened other houses. The local road connecting the village of Borova Ravan with the nearby villages was briefly closed due to the landslide. Residents of settlements in the central municipalities of Travnik, Novi Travnik, Bugojno and Fojnica also faced the damage caused by floods. Chief of the Federation BiH Civil Protection Administration, Fahrudin Solak, said to the media that there were two critical spots and that about several teams with 50-60 persons were deployed to the critical areas. “There are no dramatic scenes but we cannot leave anything to chance”, Solak said. On Sunday, nature showed its real face. Under the high water pressure, the bridge near BiH capital, Sarajevo, collapsed, cutting off several villages. Towards the end of the day the situation started to calm down and water level began to drop. Republika Srpska cities were in a state of emergency but there was no reports about damages. Citizens in the parts of Banja Luka who 2014 experienced the biggest damage spent the night watching the level of the river Vrbas. Luckily, there was no need for any kind of intervention. After this “small warning” of nature to BiH and its entities institutions, the question remains: how much have those responsible for a prompt intervention in similar situations learned from the 2014 floods?